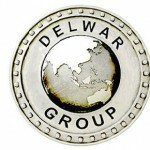 Delwar Group is a web design agency in Stockholm. Through the years we have worked on projects where we started from the idea stage to the finished concept. We also work in the field of electronic business where we simplify business processes by using modern systems and communication on the Internet.